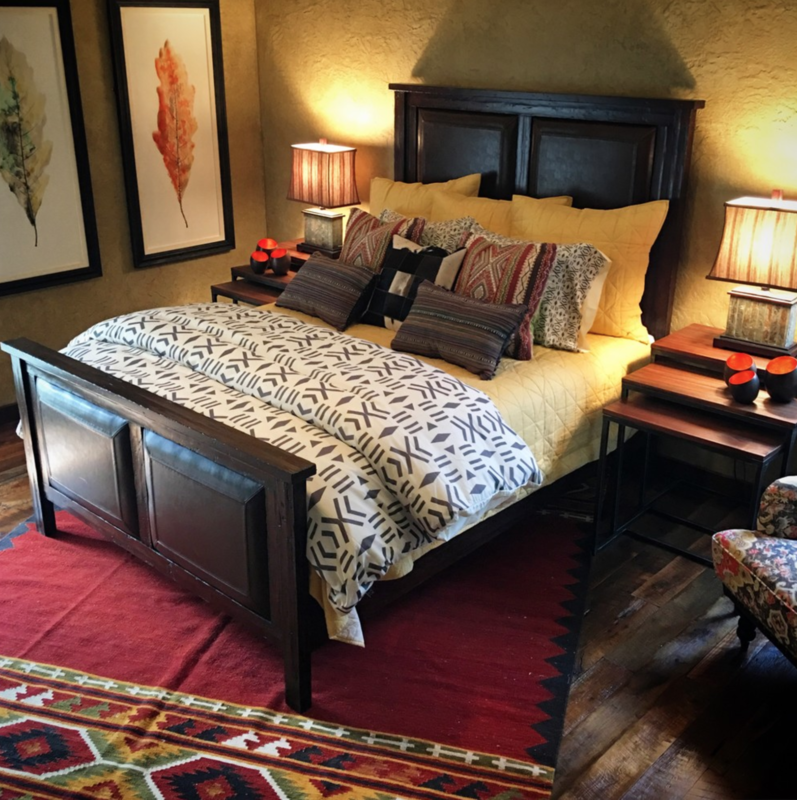 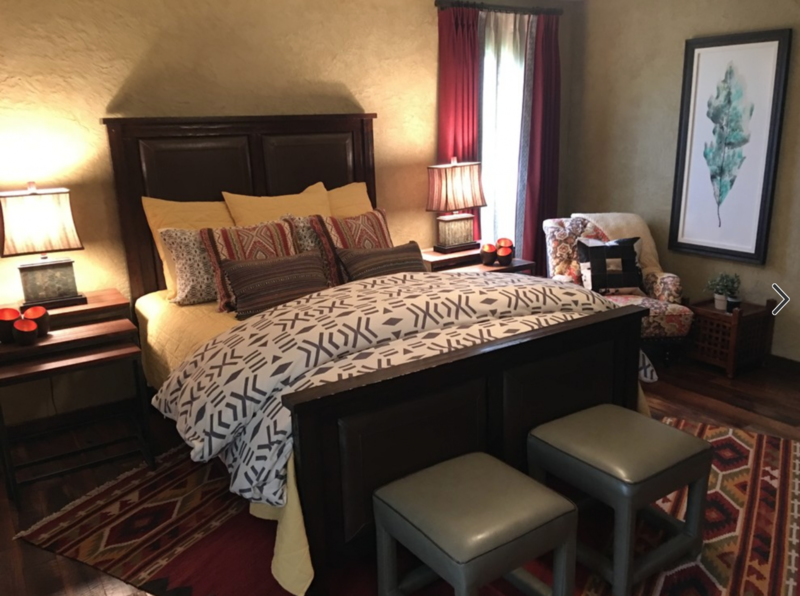 This guest bedroom needed to channel a luxury Santa Fe resort with luxurious linens, warm colors and a balance of natural elements: wood, stone, and metal. 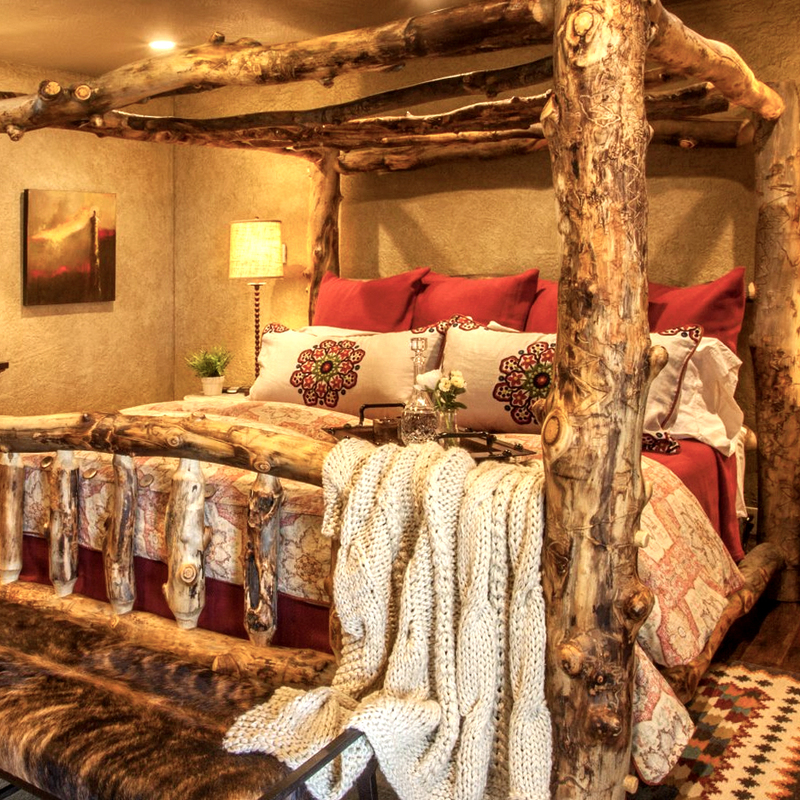 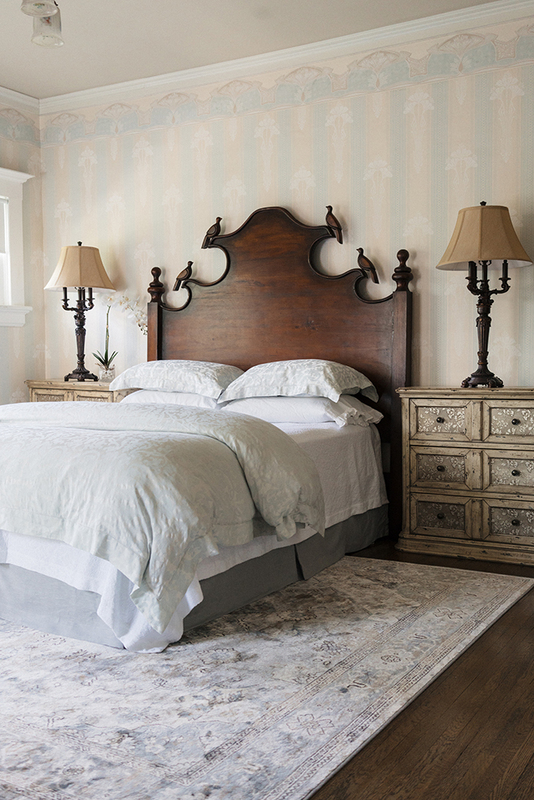 The graphical duvet and bohemian-style pillows are inviting on the wood and leather-inset bed. 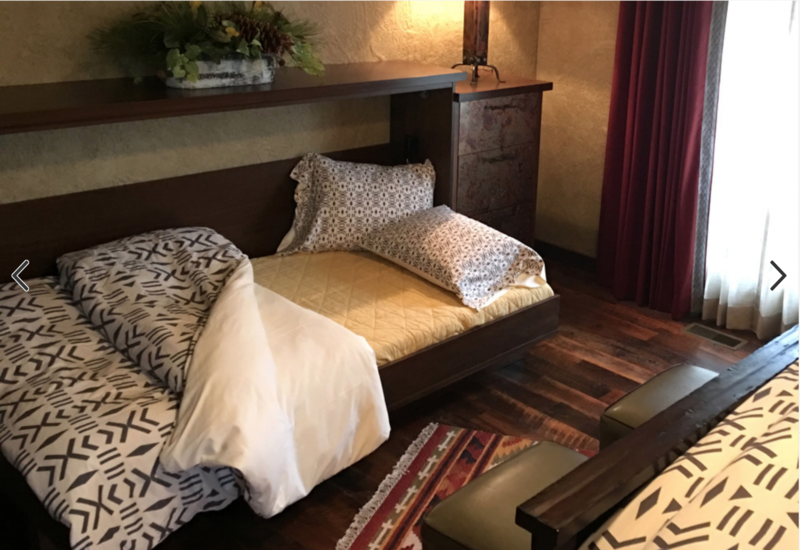 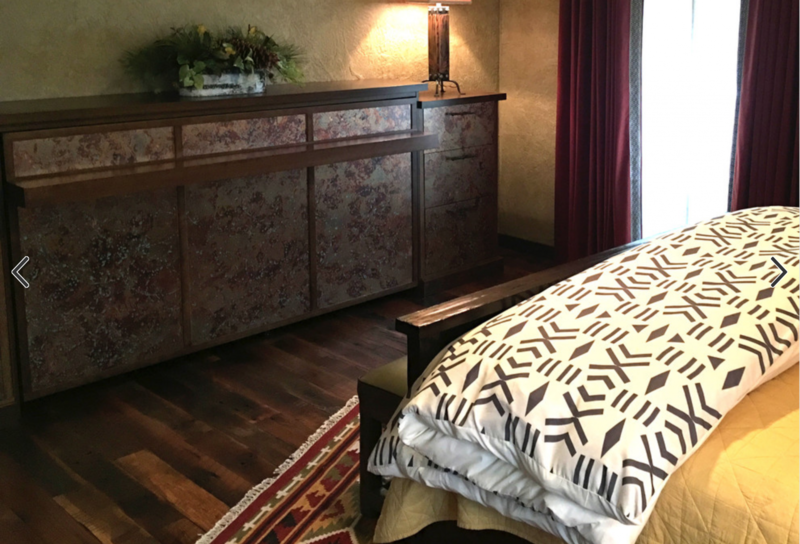 Additional sleeping options were necessary, so a custom Murphy Bed was made with copper laminate panels, bronze branch pulls, and a built-in desk with hidden USB charging ports that doubles the bed support. 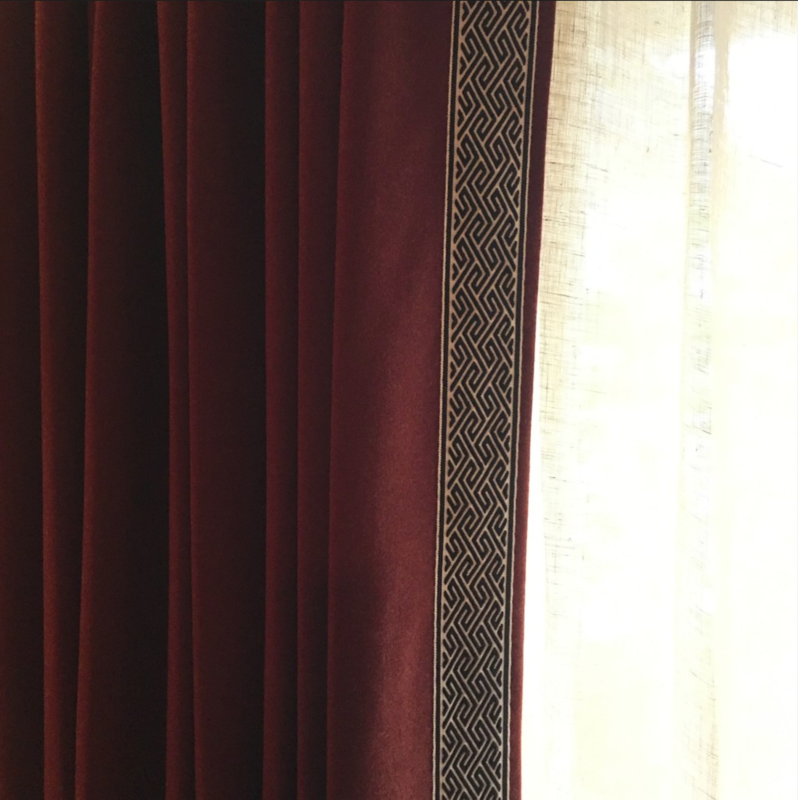 Warm wool drapery panels feature a black and white graphic leading edge tape. 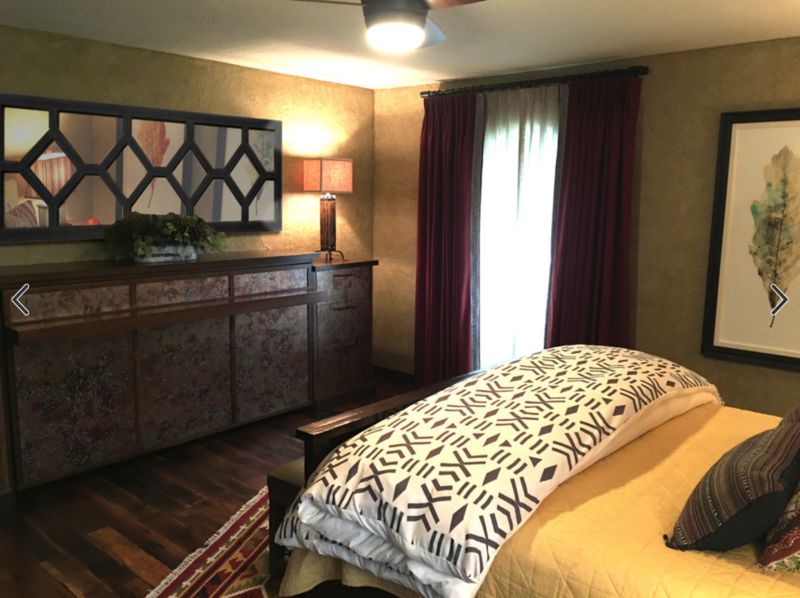 Large scale nature prints give a modern touch. 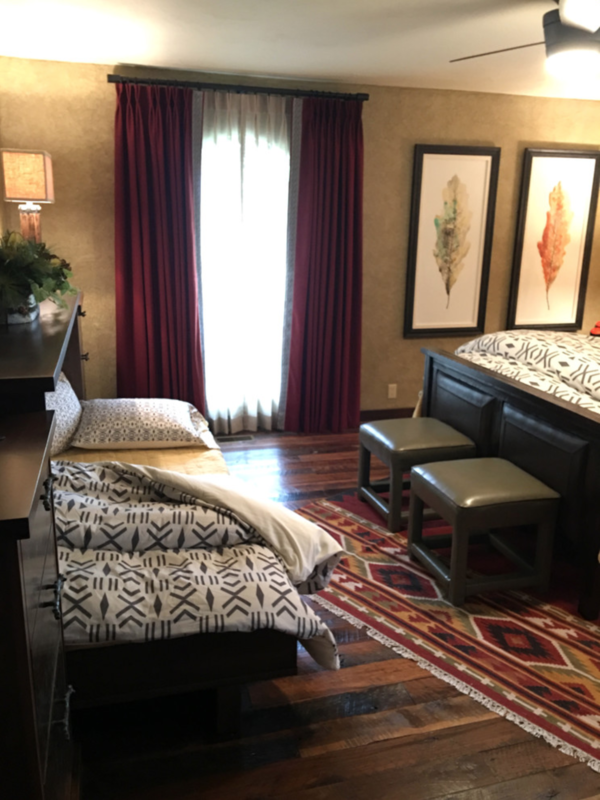 A comfy tufted chair sits in the reading area of this relaxing retreat.